The calendar officially declares us to be in the summer season. The temperatures around here declared that around early June, so at this point I’m fully in a summer state of mind. It’s been long days of puttering around the house, maybe running and errand or two, working and just trying to be outside a part of it all as much as I can. Another sign of the summer season is the changes and additions of the offerings available at my local farmers market. 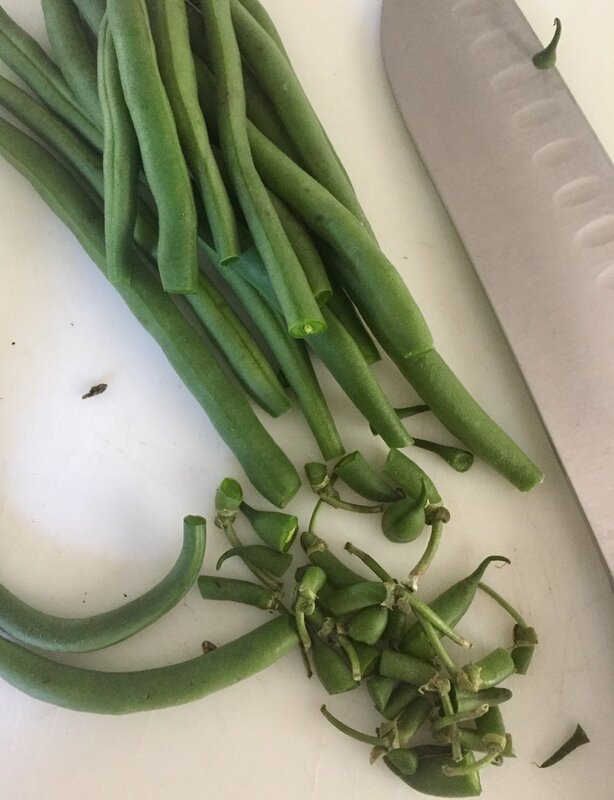 The cooler spring veggies are making way for their warmer friends and I start to spy my summer favorites, like the big bag of green beans I picked up on my last visit. This big bag of beans proved to be the first of an amazing food discovery that I still cannot believe I never considered until now! I was preparing to sauté the green beans when I realized that my big skillet I sauté in was being used to simmer meat for dinner so I either had to wait out the meat, transfer it and clean the skillet before I could even begin my beans or come up with something else. Since I have such great luck with roasting my fall and winter veggies I decided to see how a summer veggie would hold up. And hold up it did! I may never go back to steaming or sautéing as roasting green beans is a simple and amazing way to get your fill of these summer gems. Remove from baking sheet and serve up the bounty of summer to some lucky people!